Elizabeth is the third princess of Britannia. She is on a mission to find the Seven Deadly Sins, which are needed to help reclaim the Britannia kingdom. When Hawk "dies," she is revealed as a "special existence" called the apostle of the goddesses and has special healing powers. 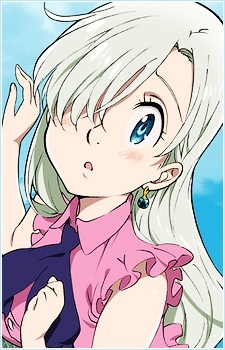 She is a reincarnation of Meliodas's love interest "Liz". In the manga, it is revealed that she loves Meliodas.